Your skin is the first thing people see when they look at you (or you see when looking in the mirror). You know that when your skin looks good, facing the world is a little easier. That’s why having skin issues can be so frustrating and embarrassing. But issues like acne, hyperpigmentation, and rosacea don’t just look bad – they’re often a sign of something more than skin deep. From nutrient deficiencies to hormones that are out of whack, and even leaky gut syndrome, there are many internal causes for external skin problems. The health of your skin is one of the biggest indicators of your overall health. A healthy body is reflected in clear, radiant skin – and health issues are often reflected in a sallow complexion. In this article, I want to share how I’ve approached my own skin issues – from the foods to eat and avoid, to the supplements that can help, and even what products to use and avoid. Beautiful, radiant skin isn’t simply about what you put IN your body, or what you put ON your body – it’s about balancing both. You know about your gut microbiome already – it’s the trillions and trillions of bacteria that reside in your digestive system and control everything from how often you poop to your immune system. But you also have a skin microbiome – like your gut microbiome, your skin microbiome is a colony of trillions of helpful (and sometimes harmful) bacteria that live on your skin’s surface. Both your gut and skin microbiomes control the health of your skin – if either isn’t healthy, you’ll see negative effects in your skin. But an unhealthy skin microbiome can lead to the same problems – as well as others like dullness, dryness, excess oil production, redness, flaky skin, and more. This is why approaching skin health both externally and internally is so important. If you clean up your diet and work on improving your gut health, but you continue to use skin products that disrupt your skin microbiome, you won’t have positive results. Likewise, you can have the most perfect skincare regimen – but if your gut microbiome is out of whack, you’ll still have skin issues. If your gut health isn’t thriving, your skin can’t thrive either. But gut health doesn’t just impact the skin – the health of your gut impacts everything from your digestion, to your immune system, to your mental health. That’s why gut health is the true foundation of all healing. Healing the gut may seem complicated, but at it’s core, it’s very simple: determine which habits you have that disrupt your gut health, then replace them with new habits that support your gut. Diet in particular is very important for healing the gut and getting healthy skin. The role of diet in skin health is very controversial. You may have heard that foods like chocolate and pizza can cause acne. But then you may have heard dermatologists debunk the idea as a myth, saying no one food causes acne or other skin problems. Here’s the truth: while no one food causes acne for everyone, any one food can cause acne or other skin issues for you. That’s because skin issues are part of an inflammatory response in the body – inflammation can be caused by stress, acute injury, and of course – by leaky gut. If you have leaky gut, loosening of the tight junctions in the gut wall can allow undigested food particles into the bloodstream. Under these circumstances, almost any food can become inflammatory for your body. Even healthy foods can be inflammatory for some people – dairy, eggs, nightshades, and nuts are common foods that can trigger some people but not an issue for others. The best way to find foods that could be triggering inflammation for you is with an elimination and reintroduction diet like SCD or a leaky gut diet. Healing your gut microbiome isn’t just about taking out the wrong foods – it is also about adding in the right foods. Bone broth – Bone broth is rich in collagen, glycine, and other amino acids that make up the foundation of beautiful skin. You can make your own or buy a high-quality version. Fish oil – The Omega-3 fats in fish oil can help balance high Omega-6 intake (common in a Western diet). Omega-3 oils are also anti-inflammatory. If you aren’t regularly eating wild-caught fish, you can supplement with a high-quality fish oil. Probiotic-rich foods – Foods like homemade yogurt, sauerkraut, kimchi, kombucha, and kefir all promote an abundance of good gut bacteria. Here’s how to make your own yogurt or sauerkraut. Zinc-rich foods – Zinc supports healthy skin, but it is much more bioavailable in food than in pill form. 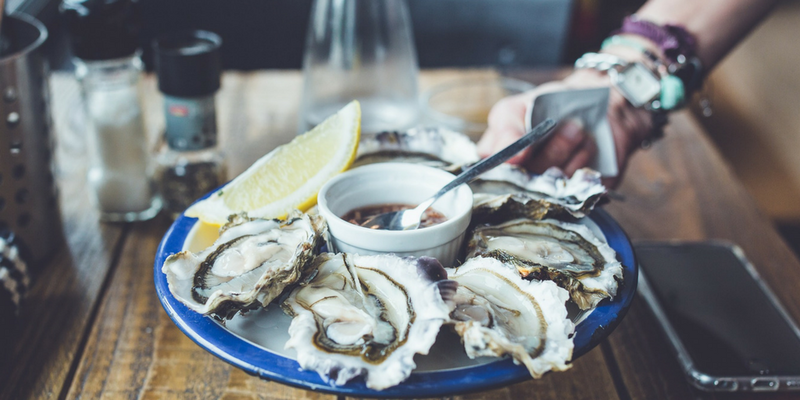 Naturally zinc-rich foods include oysters, organ meats (grass-fed! ), and pumpkin seeds. Aside from caring for your gut microbiome, caring for your skin microbiome is one of the most important steps you can take to ensure you have healthy, beautiful skin. Don’t overwash your skin! 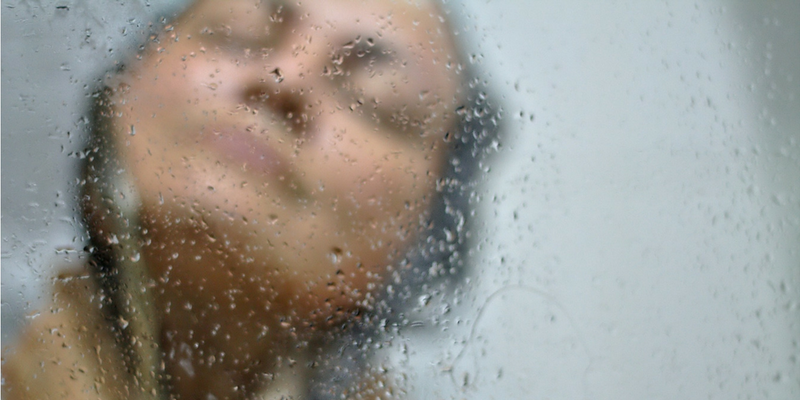 Taking daily (or more often) long, hot, soapy showers is actually harming your skin. The helpful bacteria that live on our skin work to keep your skin clean and healthy – overwashing diminishes these good guys and can even allow “bad” bacteria living on the skin to spread. If you must shower daily, consider skipping hot water and lots of soap. Use a gentle, natural soap only when and where necessary. Instead of a long, head-to-toe sudsing, I rinse off in lukewarm water daily, and save soap for every 2-3 days. Don’t be afraid to get dirty. Our skin microbiome picks up beneficial bacteria from the environment. But if you spend all your time sitting in a chair or covered with clothes, you might not be getting enough exposure. Don’t be afraid of skin-to-skin contact with other people and animals. Hug your sister and your dog. Lay in the grass in the park (no blanket!). Touch the earth. Dig in the sand and build a castle. It is good for you! Unfortunately, some of these gut-healthy, skin-healthy habits are directly contradicted by Western dermatology practices. Is Your Dermatologist Making Your Skin Worse? All of these products directly and indirectly impact the health of both your gut AND skin microbiome. 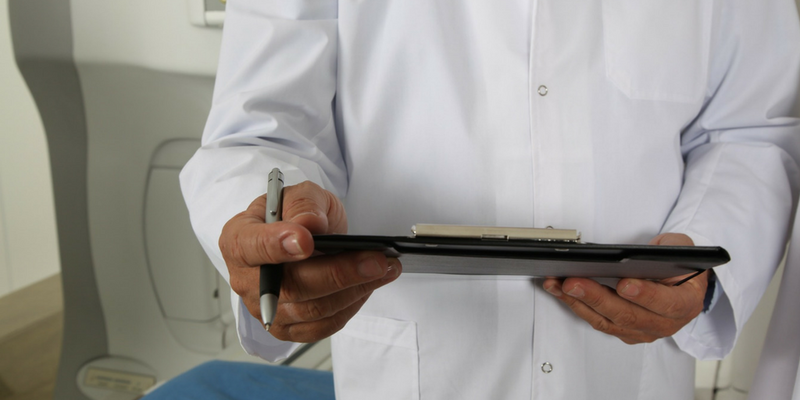 While they might provide quick, short-term results, in the long-run they only mask symptoms and cause greater harm. While only you and your doctor can decide if a medication or prescription is right for you, don’t be fooled into thinking the only solution to skin problems is harsh products. The first approach should always be supporting your gut and skin microbiome. Particularly for the extra-sensitive skin on your face, you want to use the highest quality, gentlest products. But, just because something says “natural,” “gentle,” or even “organic” does not mean it is safe. Use of these words isn’t regulated – meaning anyone can put these words on their packaging to sell more product. If you want to take the best care of your skin microbiome, you’ll need to be diligent when shopping for natural products. Personally, I usually use most of the same products in my bathroom as I do in my kitchen – Dr. Bronner’s Soap, apple cider vinegar, baking soda, raw honey, and coconut oil. And while using an ACV toner or coconut oil is easy, using Annmarie products feels luxurious – like a special treat for myself, one that is actually good for me. Plus, they’re all-natural, eco-friendly, organic, and safe for your delicate skin microbiome. I started with the Balance kit (for normal skin) and I liked it so much I ordered the Purify kit for my sister (for oily or acne-prone skin) and the Restore kit for my mom (for dry and more mature skin). Each kit comes with a gentle cleanser and a treatment oil made from all-natural ingredients. I love it because it’s simple (just 2 steps) but really effective – I noticed an improvement in my skin’s texture and brightness within a couple days. The right skin products – like Annmarie’s products – can really help improve the appearance of your skin from the outside without disrupting your skin microbiome. Annmarie’s products are the first I’ve found that meet my own criteria for safety and actually work! 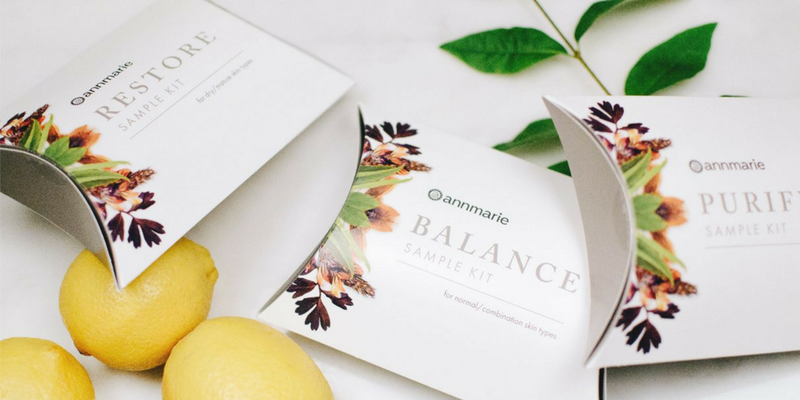 I love them and I hope you will too – that’s why we’re teaming up with Annmarie Skin Care to bring you a really great deal: Order a sample kit for $10 (your choice of Balance, Purify, or Restore) and you’ll get free shipping ANYWHERE in the world, plus a $10 coupon good for your next order. This means, if you like the products and buy a full-size item later on, you can use your coupon and it’s like having gotten your sample kit for free! Plus, you’ll also get a bonus digital copy of Annmarie Skin Care’s newly updated Toxic Free Home Guide. Check out the sample kits + free bonus book here. Your skin is too important to neglect or harm with dangerous products. It’s not just about what you eat or what you wash your face with – beautiful healthy skin is about both! I hope this article sets you on the path to glowing, healthy skin. P.S. – I only endorse products I love – and Annmarie Skin Care makes the cut! Try a sample kit and let me know what you think. Get one here. “When they first did tests on me for my skin issues, they said there were no allergies or nutrient/vitamin deficiencies present. Now, they have done resent testes and found I am deficient in folate, ferritin and vitamin D. They’re not sure if malabsorption is the culprit. I have atopic eczema, seborrhoeic dermatitis, and chronic urticaria (hives), all of which can have a number of causes, but all drive me insane with endless itching and skin rashes, redness, and inflammation. When they diagnosed me with fibromyalgia syndrome and secondary adrenal insufficiency, they told me that systemic symptoms were common like severe fatigue, lack of appetite, tingling legs and feet, itchiness, sweating and temperature regulation issues, excessive thirst, frequent urinating, insomnia, brainfog, chronic pain, skin changes, and several others that I experience but I won’t go too far as this comment will be monstrous. I always had skin problems as a child that went away when I was 15, but seemed to come back at the onset of my systemic illnesses. I never had hives before fibromyalgia, adrenal failure and hypogonadism though, so the link between my skin problems and systemic illnesses is possibly there but I would have to say it’s quite likely giving that adrenal insufficiency and fibromyalgia alone are known to cause skin changes. Vitamin A and B12 play an important role in skin health, too! 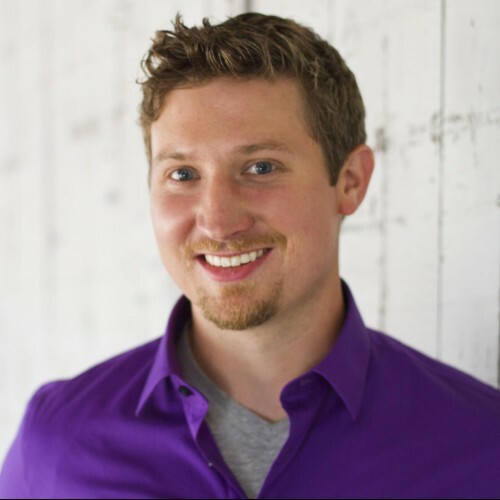 HI James – you may want to take a look at this article on skin health and leaky gut https://chriskresser.com/the-gut-skin-connection-how-altered-gut-function-affects-the-skin/ I think this will be really helpful to you! James – I’d recommend you also look into a keto diet, as many of your symptoms are in line with insulin resistance and the results of too high a carb level. High carbs lead to high blood sugars – which encourage the overgrowth of harmful yeasts and bacteria and also high insulin as your body attempts to bring down the blood sugars. As time goes on, you become insulin resistant and your body stores all that extra blood sugar as fat. After a couple of months eating a keto diet, I know I feel fantastic compared to how I used to feel. My arthritis pain is nearly gone, my brain fog is also pretty much gone, my skin is better. This, along with the other great recommendations on this website could be a huge help to you! When they first did tests on me for my skin issues, they said there were no allergies or nutrient/vitamin deficiencies present. Now, they have done resent testes and found I am deficient in folate, ferritin and vitamin D. They’re not sure if malabsorption is the culprit. I have atopic eczema, seborrhoeic dermatitis, and chronic urticaria (hives), all of which can have a number of causes, but all drive me insane with endless itching and skin rashes, redness, and inflammation. When they diagnosed me with fibromyalgia syndrome and secondary adrenal insufficiency, they told me that systemic symptoms were common like severe fatigue, lack of appetite, tingling legs and feet, itchiness, sweating and temperature regulation issues, excessive thirst, frequent urinating, insomnia, brainfog, chronic pain, skin changes, and several others that I experience but I won’t go too far as this comment will be monstrous. I always had skin problems as a child that went away when I was 15, but seemed to come back at the onset of my systemic illnesses. I never had hives before fibromyalgia, adrenal failure and hypogonadism though, so the link between my skin problems and systemic illnesses is possibly there but I would have to say it’s quite likely giving that adrenal insufficiency and fibromyalgia alone are known to cause skin changes. Vitamin A and B12 play an important role in skin health, too! HI Moni- you’ll still introduce foods according to the article and you’ll be looking for other negative changes such as runny nose, worse constipation, headaches, fatigue, etc. Hi Lori Jo – Forgive me, but I think you may have replied to the wrong comment, going by the name you greeted and the fact that my comment was about my eczema, dermatitis, urticaria, vitamin and nutrient deficiencies, fibromyalgia, and adrenal insufficiency. Curious if you could recommend a trustworthy brand of fish oil, as I know there’s a lot of yucky ones out there. Also, do canned oysters also provide zinc?? Been wondering this for a while & would love to know.